As a rule of thumb, if you are going to protest against someone, it might be a keen idea to actually know who they are. Just sayin’. Andy Puzder is CEO of CKE restaurants, which owns Hardee’s and Carl’s Jr. He’s also President-elect Trump’s nominee for Secretary of Labor. A number of “Fight for $15” moonbats decided to protest him. When a gentleman asked if they knew who Puzder was, they had no clue. Much like they have about life in general. SMH. The reason these idiots were protesting Puzder was because they were given talking points, he owns Carl’s Jr., he’s white and because he’s Trump’s man… oh, and because he’s against the minimum wage. This isn’t standing on principle, it’s protesting for the sake of protesting. This whole minimum wage thing is beyond stupid. These people can’t see that they are literally protesting themselves out of a job. 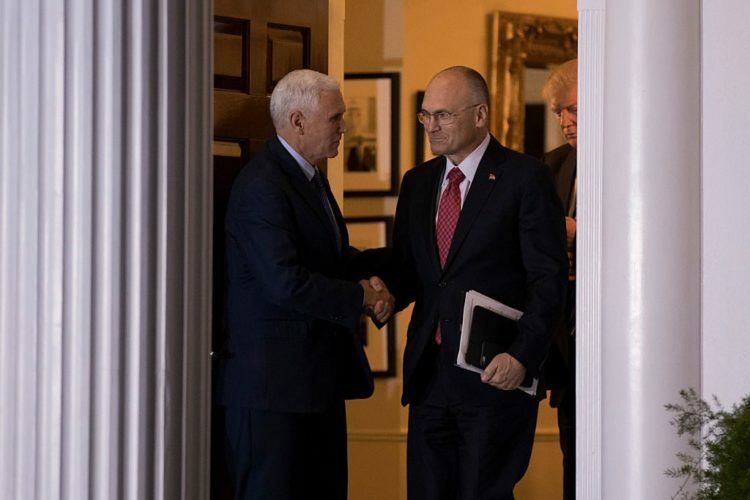 Fortunately, Puzder is the adult in the room and will hopefully bring sanity back to the Labor Department. A group of demonstrators in Boston protesting President-elect Donald Trump’s pick for labor secretary apparently had no clue who they were actually protesting. In a video posted on YouTube by the conservative America Rising Squared, the man recording the video asks three apparent protesters if they know who Andy Puzder is. Puzder is the CEO of Carls Jr. and Trump’s nominee for labor secretary. “Do you guys know who Andy Puzder is?” the man asks. The gentleman behind the camera then asked yet another protester, who was holding a sign, if she knew about Puzder. The so-called “Fight for $15” movement advocating for a national minimum wage increase for fast-food workers has vowed to protest Puzder’s nomination across the country. Hopefully, the other demonstrations are going better. Every time you turn around, these leftists show yet again what tools they are for communists and just how deeply stupid they are. They don’t even lie well. This happened in Boston, but it could have just as easily been any major city in America. There seems to be no shortage of brain dead leftists out there these days. The “Fight for $15” movement has vowed to protest nationwide against Labor Secretary pick Andy Puzder, who is a wage raise foe. It will go exactly nowhere. Confirmation hearings for Puzder have been pushed back until late February, but trust me… he’ll be confirmed. They have pushed for a raise in the national minimum wage for fast-food workers and the movement has set up two dozen marches and rallies across the country to protest Puzder’s nomination. They started this last Thursday. This is but one movement as the communists gear up for massive fights against Trump over the next four years. Brains or not, they are definitely a threat.